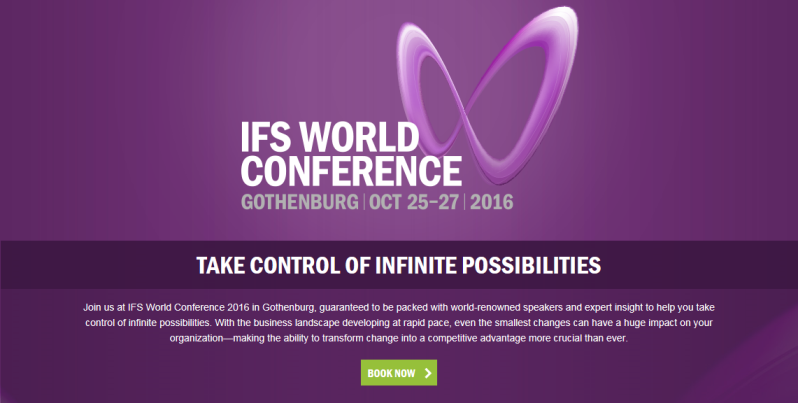 The next IFS World Conference experience that will take place in Gothenburg, Sweden, from October 25-27, 2016. A highlight in the IFS calendar is, without any doubt, the IFS World Conference. Mixing together hundreds of IFS customers with scores of IFS subject-matter experts, plus the innovation architects from IFS R&D and IFS Labs combines into an experience that is not only memorable but also insightful. I’m thrilled to say that registration is now open for the next IFS conference experience that will take place in Gothenburg, Sweden, from October 25-27, 2016. 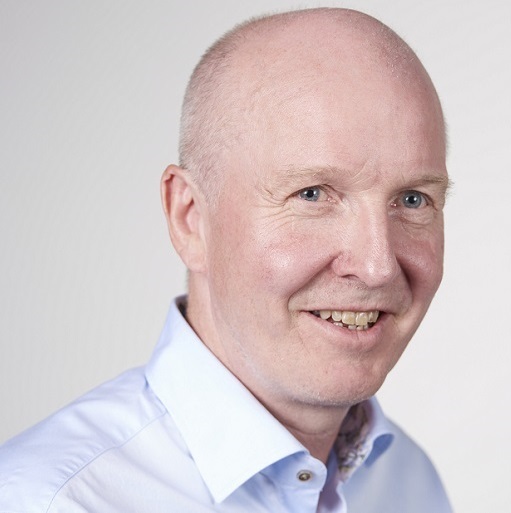 Inspirational thought leaders: World-class keynote speakers and over 100 break-out sessions. Exciting product demos: Our newest products demonstrated and discussed in the Meet the Experts area. Upgrade and unlock the possibilities: Insider advice on how to upgrade IFS Applications quickly and securely. Networking opportunities with peers: Collaborate with other top IFS customers on best practices and new ideas. Dedicated time to meet IFS executives: Discuss hot topics with IFS Industry Directors and other IFS experts. High-impact strategies revealed: Game-changing solutions showcased by IFS partners. Advanced product training: Best-in-class product training taking place during the event as well as a full day of training after the event. Innovations from IFS Labs: Cutting-edge demos from IFS Labs on how to turn new technologies into new opportunities. I am very excited to be hosting IFS World Conference and to be welcoming customers, partners, journalists, analysts, and employees all over the world to the vibrant city of Gothenburg. The previous conferences have received tremendous feedback and this has now developed into a unique arena where the entire global IFS community gets together to exchange ideas and discuss business improvement initiatives, not only with IFS and our partners but also with customers facing similar challenges. We are looking forward to the IFS World Conference in Gothenburg and we will do our very best to create an amazing few days with a mixture of high-quality presentations, excellent networking, and a great social program. So, I invite you to review what’s on offer at IFS World Conference 2016 and see for yourself how you can benefit by being part of it. Even the tiniest improvement in your competences could lead to being more efficient and effective in your daily work tasks.